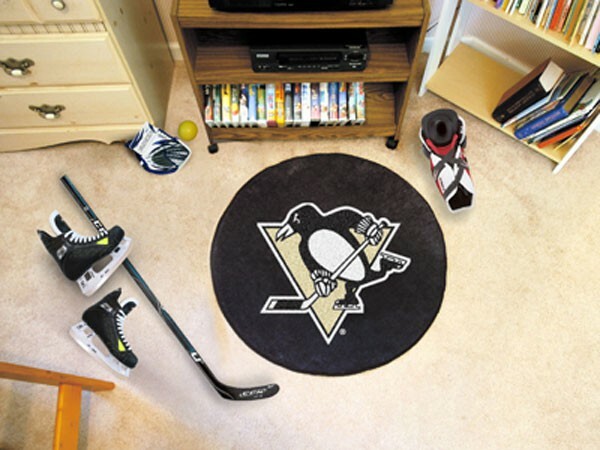 Team mats can not be ordered together with other products on our website. They are dropped ship from the manufacturer and must be placed in a separate order. Puck Mats featuring the logos of your favorite NHL teams.?? The perfect area rug for your Man Cave or favorite hockey fan.?? Officially licensed and machine washable. Made of 100% nylon with a non-skid recycled backing. Chromojet printed in true team colors. Boston, Chicago, Detroit and Pittsburgh are available for purchase online right now and will drop ship within 48 hours from the manufacturer. Allow additional time during the holiday rush. All other NHL team mats are custom made to order by the manufacturer and ship within 7-10 business days. 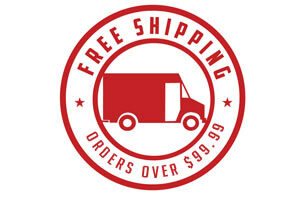 FedEx ground shipping time is an additional 1-5 days depending on your location. At this time, we can only accept Paypal payment for custom ordered mats. Please email us your request and we will send you a Paypal payment request. 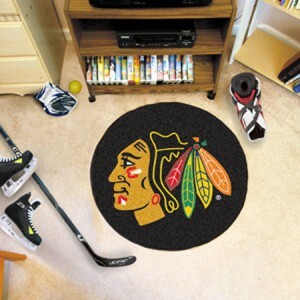 We also have many different mats styles available for all NHL, NFL, MLB and NBA teams and also some college teams. 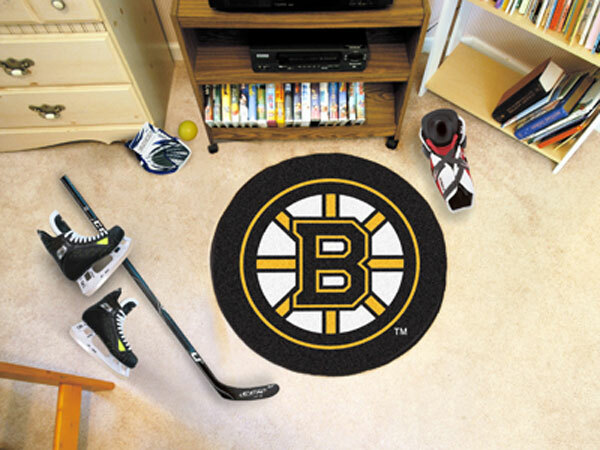 We will soon be offering other sport team mats including welcome mats, area rugs, grill mats, mancave mats, car mats and many more really cool mats in different shapes and sizes. We will be launching a new website in 2015 and will carry a full line of great mats and rugs with your favorite team logos. 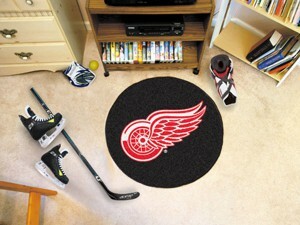 Great gift for your kids bedroom or your favorite sports fan’s mancave, rec room, car or patio!